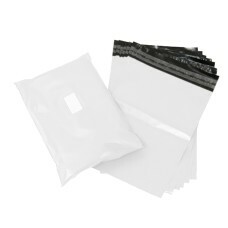 Suitable for use with pallet wrapping machines only. 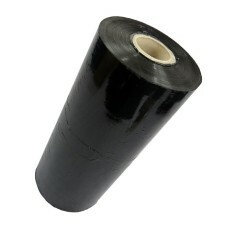 12 x high quality rolls of 'power-pre' black machine pallet stretch film/wrap, manufactured in Europe. 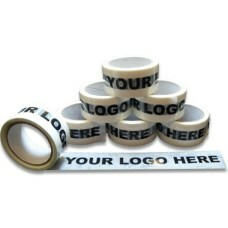 Each roll is 500mm in width, approximately 1400 metres in length, and 23mu in thickness. 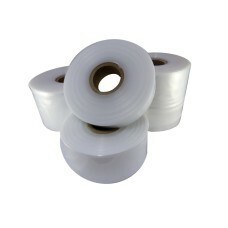 Each roll weighs approximately 16kg. This power pre film has a 150% stretch capability. 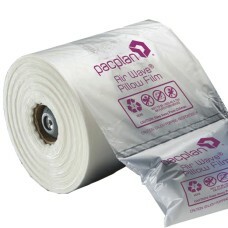 These rolls are suitable for the Pac-plan airwave machine. High end top quality branded air pil.. It is vinyl based, as opposed to polypropylene - which is an extremely strong and heavyweight tape, ..
20 x high quality rolls of polythene layflat tubing, each roll being 14" Wide x 336 metres in length..